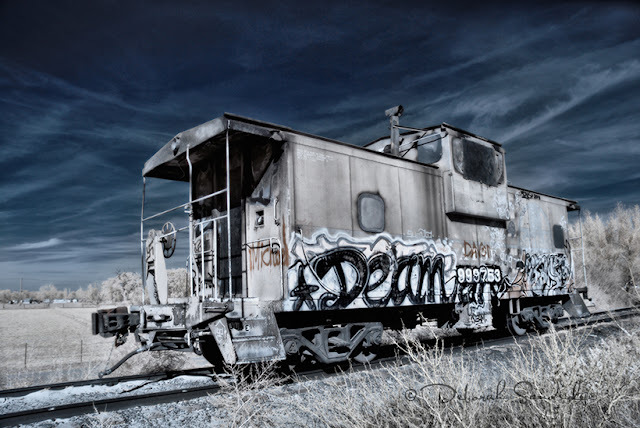 Infrared photography allows you to create beautiful imagery that illustrates the world in a surreal way. With digital photography, you can convert to black and white, or work with the color aspect of the image. My infrared camera, the Nikon D200 is modified using the super color infrared filter, which gives me the most flexibility over how I want my images to be presented. Topaz Labs B&W is perfect for infrared black and white conversion and will work with color imagery that you wish to convert to B&W to as well. I used a diffused look with color, which is definitely one of my favorite presets, I hope you enjoy it too! Want to try it? Whether you shoot color or infrared, mark your calendar for Tuesday March 13th at 5pm EST for Infrared Artistry with B&W Effects. If you don't shoot in infrared, this is a great time to learn a little more about it and you can apply what you learn about B&W Effects to your color photography. This webinar hasn't been formally announced yet, so you have the opportunity to sign in early to make sure you reserve your spot in the webinar. Space is limited! I'm really looking forward to sharing creative ideas with you using Topaz B&W Effects and other cool Topaz Labs Software! I hope to see you on Tuesday, March 13th at 5pm EST.